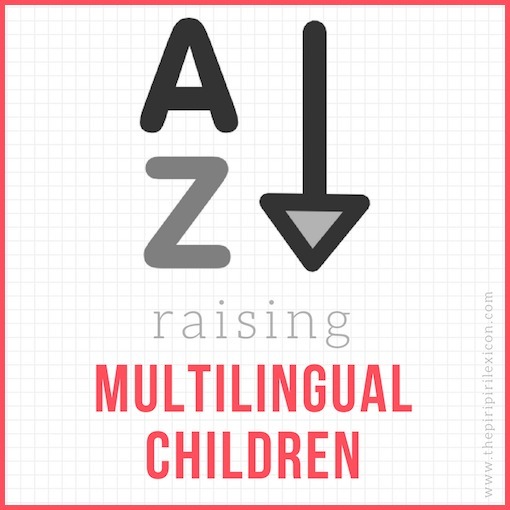 I’m happy to be part of a global group of bloggers writing about the A to Z’s of raising bilingual children. For a list of all the great articles, visit the A to Z of Raising Multilingual Kids page on The Piri-Piri Lexicon. I’m writing about reading to bilingual kids because reading is essential to language development! Raising kids with two or more languages is an amazing experience. However, it is also a huge amount of work. When my children were young, I depended on the magic of stories and the power of reading to teach and inspire them. Books also took the pressure off me. It’s hard to provide all that input! Of course, the internet now offers authentic language that wasn’t available to me. Still, reading to bilingual kids is one of the best ways to give them the language exposure they need. Teachers and parents know that reading helps kids acquire important language skills. However, reading to bilingual kids also presents challenges. It’s important to get off to a good start! First, we have to find quality books. Next, choose books that are right for the child. Finally, we have to find ways to engage kids with the story (or other text). Every situation is different, but the strategies below have helped me and parents of my students. One of the biggest challenges of reading to bilingual kids is finding books in a minority language. And I say this about looking for books in Spanish! If you are looking for books in a less commonly spoken language, the challenge is even greater. Although publishers have responded to the demand for books in Spanish, the selection in the U.S. is still limited. Even in parts of the world where many people speak multiple languages, it can be difficult to find quality children’s literature in a minority language. A good place to is identifying major publishers in your language. This article on how to find children’s books in Spanish will give you an idea of the advantages of searching online stores by publisher, regardless of the language. In addition to searching online bookstores by publisher, check YouTube for read alouds and book trailers in your language. You can find classic stories, new titles from publishers and authors sharing their work. Another excellent way of finding books is consulting award lists. There are many awards for children’s books, similar to the Newberry in English. In Spanish, for example, Anaya has a several awards and you can see their recent winners here. Edebé also has a prestigious award, and you can find a list in this Wikipedia article. Fundación SM awards el Premio El Barco de Vapor in many different Spanish-speaking countries. The winners from Spain are listed on Wikipedia. You can also search the prize with country name and find lists for the other countries. This is a fun list where people voted for their favorite El Barco de Vapor books. One of the other challenges we face reading to bilingual kids is making it enjoyable. If you are one of the lucky parents to be raising a child with two or more equally balanced languages, then it is easier. However, the reality for many parents is that skills in the community language are stronger, and grow rapidly as a child starts school. Reading in the minority language is essential, but it can also be more difficult for a child. One of the keys to reading to bilingual kids is choosing books that match their language level, not their age. The language in picture books is often sophisticated, and can be difficult for language learners. Look for repetition and patterns to make picture books easier to understand. Books for beginning readers are a good choice too. They have a smaller range of vocabulary and shorter sentences, so they are easier to understand. We want to create positive associations with reading, so it’s important to have fun reading to bilingual kids in their second language. Be sure to add plenty of silliness and snuggles. 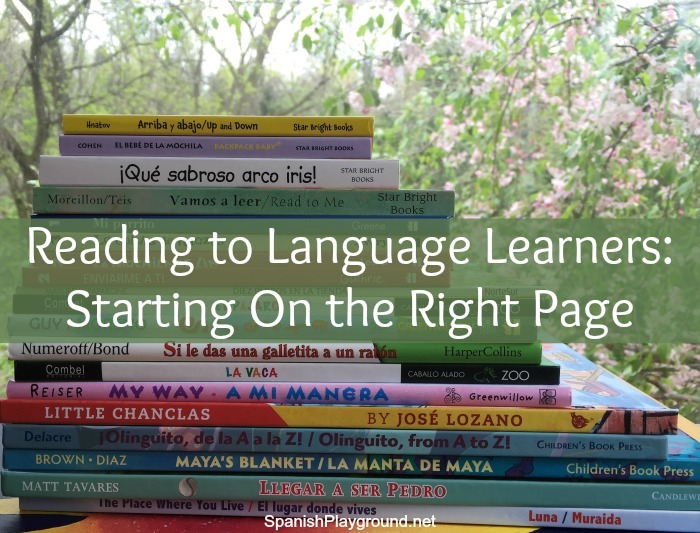 To encourage language development as you read, try these best strategies for reading to bilingual kids, which include reading slowly, identifying core vocabulary and relating the story to your child’s life. To make the most of reading to bilingual kids, you can also try easy activities for reading to kids in their second language. The article has simple ways to encourage kids to engage with a text. Of course, reading all kinds of texts builds skills, and it won’t feel like reading practice with 15 things to read besides books. These options provide variety and are often more accessible for language learners. Reading is one of the great pleasures in life. Sharing the joy of reading with kids is another. Reading to bilingual kids, the process takes on another dimension as their language skills grow. Yes, it is challenging, but starting on the right page, children learn to love reading – in all their languages!